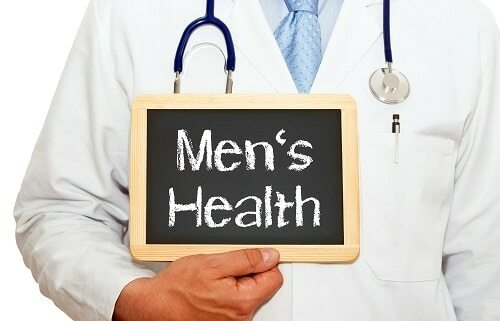 Every year during the month of June, healthcare providers across the nation promote the importance of prevention and early detection of diseases that affect American men. Our dental practice in Alexandria is no different. To do our part, we’re dedicating this blog to educating our patients and community on the unique dental issues that often apply to the male population. It’s typically recommended that everyone visits their dentist at least twice year for proper preventive care and a deeper cleaning than you can get at home. However, according to the Centers for Disease Control, barely 60% of American men between the ages of 18 and 64 went to the dentist in the past year. Skipping regular visits to your dentist in Alexandria can allow problems to go untreated and lead to bigger, more complicated (and often more expensive) treatment. In fact, the Academy of General Dentistry states that it’s all too common for men, in particular, to only go to the dentist when they’re experiencing a problem. Most likely, these problems could have been prevented by keeping bi-annual dental appointments. This month, and every month, we’re here to keep our neighbors healthy. Whether you’re a man who may have been skipping dental visits, or you’re a woman who has men in your life you care about, we encourage you to schedule an appointment at our Alexandria dental office today.